Her reputation has been so tarnished by speculation and false connections, but for me Mary Magdalene, whose festival is today, is an inspiration. Mary Magdalene is a role model of faithful discipleship. She stuck with Jesus when things got unimaginably tough. With other women she witnessed Jesus' crucifixion when other disciples had run away. 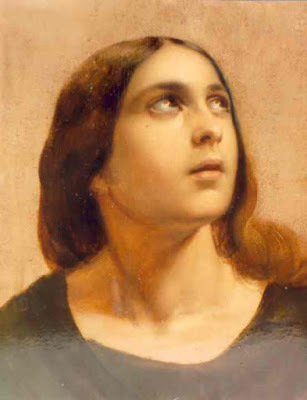 Mary Magdalene is a role model for Christian witness. After she met the risen Jesus she told others what she’d seen and heard. When a woman’s evidence was seen as dubious, how odd that God chose a woman to tell such news and bring such hope! You can find the account of how Mary Magdalene met Jesus in the garden after the resurrection in Easter Sunday 2015. It is raining. It is 15th July. It is St Swithun's Day. Need I say more? Probably yes if you have no idea who St Swithun was or why today's weather is significant for UK residents. Yes some of us do tend to be a little obsessed with weather forecasts. 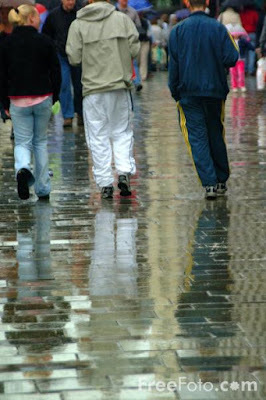 Rain today and 40 days of rain to follow may be expected, if you believe the old St Swithun's Day tradition. If today were fine then 40 dry days might be expected to follow. "St Swithun's Day, if thou dost rain,for forty days it will remain.St Swithun's Day, if thou be fair,for forty days, 'twill rain na mair. "I don't think we can blame St Swithun for whatever the weather does in the next 40 days. If it actually rains in the UK every day for the next 40 days that would be a new record, as would a 40 day drought starting today.